Seafood and directions. These were the two things I disliked when I was younger. I never enjoyed crabs and prawns, mostly because they were a hassle to eat. And geography was one of my worst subjects in school. I remember being really upset at a former employer who took me to dinner at a very expensive seafood restaurant as a show of gratitude after a good job done. That night, I hardly touched my food, and ate only the vegetables. Everything changed once I started a food blog. I became more adventurous and was willing to go through plenty of hassle in search of good food. Seafood soon became one of my favourite things to eat and I would have it at least two to three times a month. Sadly, my geography is just as bad as before, so asking me for directions is akin to asking a tech-challenged person to assemble a computer. By the way, the latter also describes me. 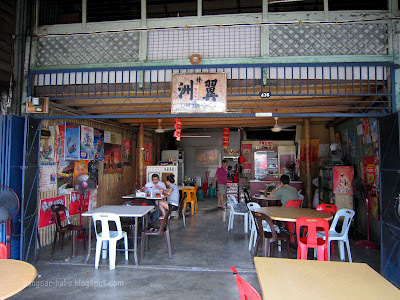 My recent short trip to Penang allowed me to make a pitstop at Nibong Tebal, where a restaurant called Lim Aik Chew is reputed to serve the best fresh water prawn curry or kari udang galah. This restaurant is very popular among locals and tourists alike. It was actually Rif who suggested this pitstop, after a friend of his talked about their “damn nice prawn curry”. We were advised to call ahead to book the prawns as they run out pretty quickly, especially during weekends. Since we pre-ordered our dishes, they didn’t take long to arrive. 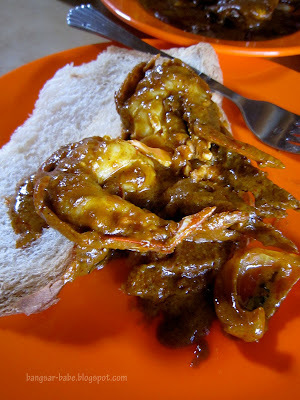 The river prawn curry (RM36 for ½kg) was divine – I’ve never tasted anything like this before. It smelled wonderful, from the generous addition of curry leaves. The gravy was thick, spicy and sweet from the juices of the prawns. We ate this with steamed white bread, specially made to go with the curry. “The bigger the prawn head, the more roe it has,” said Rif. He was right. Underneath each prawn head was a generous amount of roe. Thick, soft and smooth, the orange-bright roe gave the curry a richer flavour. 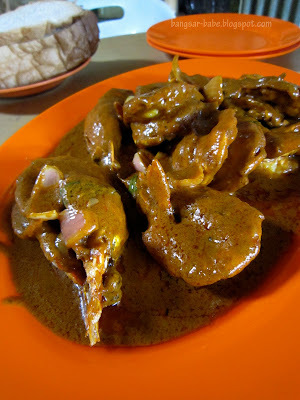 I especially enjoyed eating the prawn head – it was crunchy and addictive. The flesh of the prawns was firm, juicy and sweet. This curry was so good, I mopped the last bit of gravy off the plate with my bread. 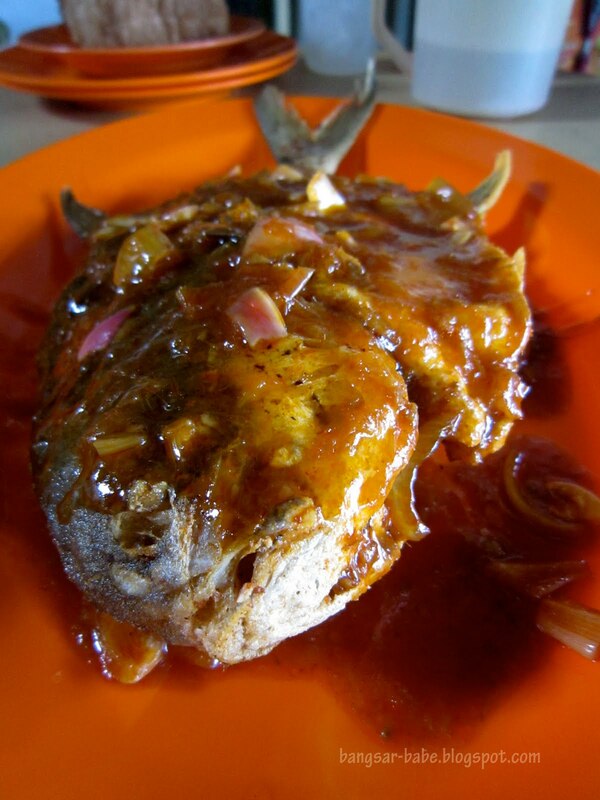 Another dish worth ordering is the ikan masak tiga rasa or three-flavoured fish (RM26). 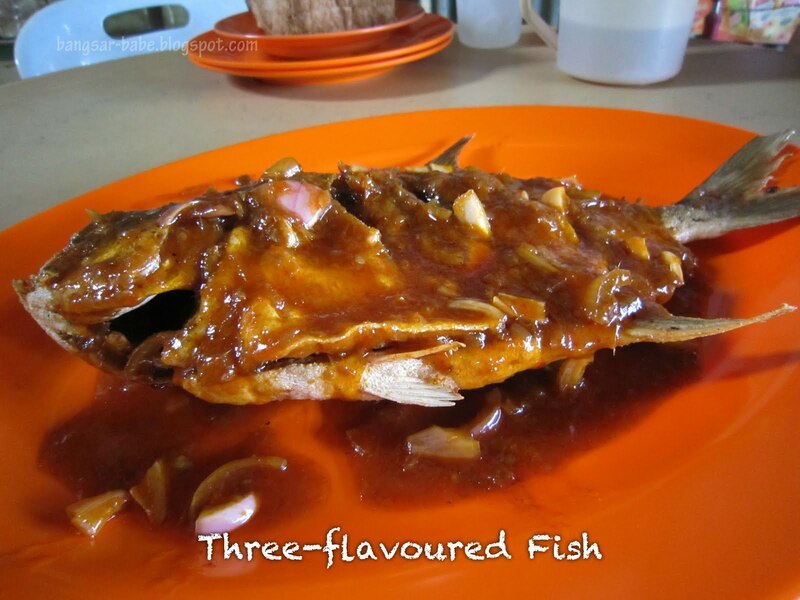 Diners can choose between the ikan bawal (pomfret), ikan siakap or ikan kembung. 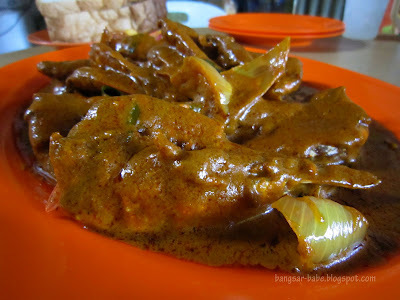 We went for the bawal, which was deep fried and cooked with a flavourful gravy, which was a combination of spicy, sweet and sour flavours. I liked that the fish was firm and meaty. If you’re worried about the spiciness of this dish, I’m glad to report that it was only slightly spicy. 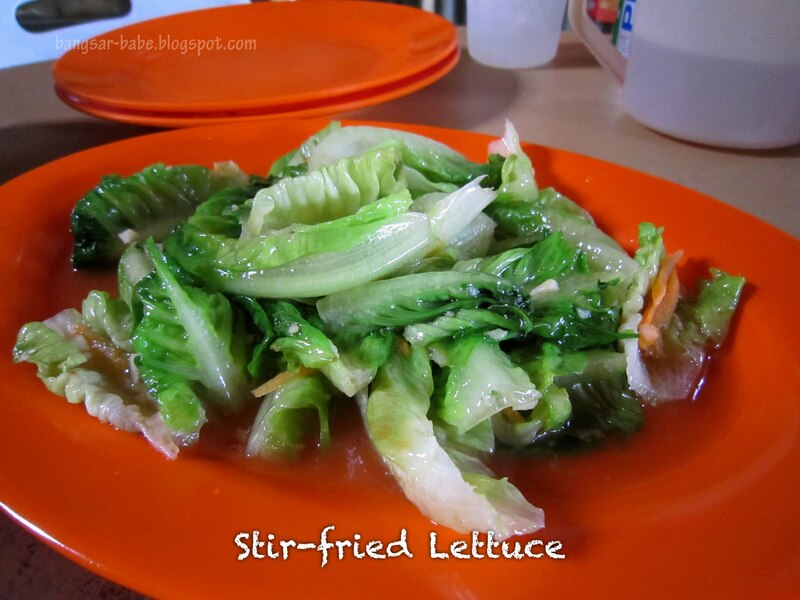 The stir-fried lettuce with garlic (RM4) was a simple, fuss-free dish that we ordered to balance out the two other dishes. That said, the greens were fairly crunchy and lightly seasoned to bring out their crisp flavour. For drinks, we had fresh sugar cane juice. Very refreshing on that hot day! 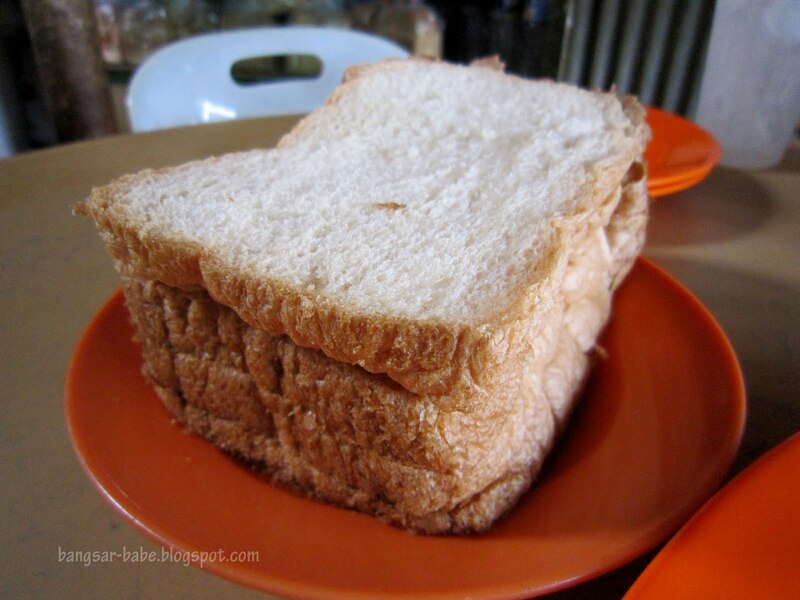 The bill came up to RM71 for all the above. Considering what we ordered, I thought it was reasonable. We left the restaurant feeling incredibly satiated. 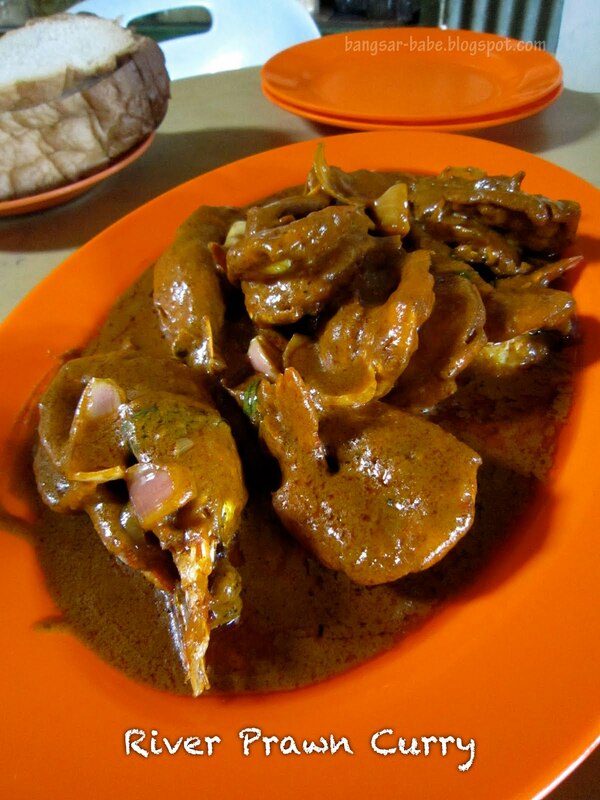 Lim Aik Chew’s river prawn curry is now the king of all curries in my books. Verdict: Big, fresh prawns and thick, spicy curry. Need I say more? Wah RM 4 for greens! 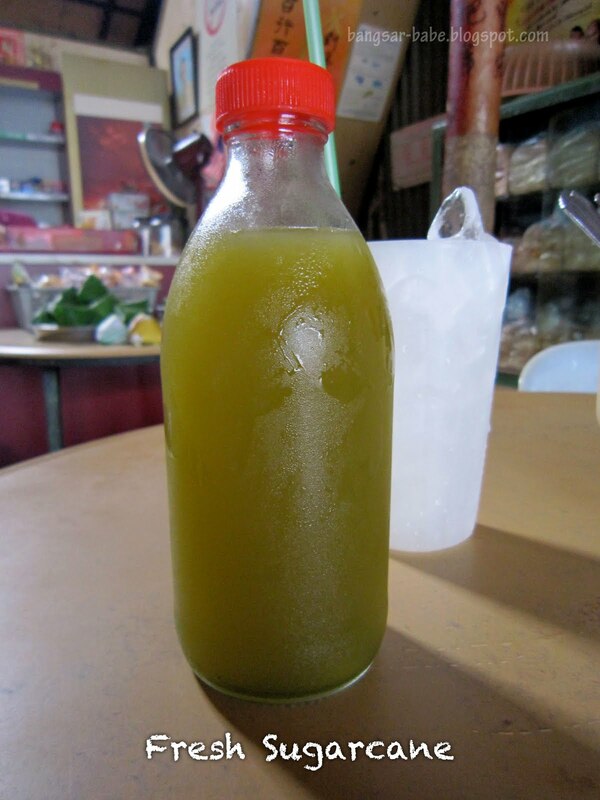 And the sugar cane juice looks really concentrated! looks damn good! i shouldn't read this before lunch! this gets me drooling over the prawns, i must make a trip up there when i am back in msia, end of year! I choose those big heads prawns and make sure inside got roes. email2me – I didn't. Lazy. 😛 Next round la…you go with me! ronyjarod – He's mistaken me for someone else. I've only been there once, for this review. Sean – Hahaha…a bit of travelling is fun! Joe – Got time meh? Don't you have to prepare for your big day? Cumi & Ciki – LOL. Road trip soon?